Photographers talk about the importance of fast glass to be able to shoot in low light situations, or being able to use higher shutter speeds to capture fast moving action. The other reason to use a “fast” lens is to control the depth of field. Fast lenses are lenses that have a maximum aperture of 2.8 or higher. In camera terms, that means a smaller number. The smaller the f/number, the bigger the opening in the lens, the more light is able to reach the sensor in the camera. And while this is really important when shooting concerts and other low light event, it can also make a chain link fence disappear like magic. Tip: Use a lens with a focal length of at least 100mm, shoot with the aperture wide open (lowest f/number possible) and as close to the barrier as possible. When you focus on the animal, the shallow depth of field will usually makes the barrier disappear. 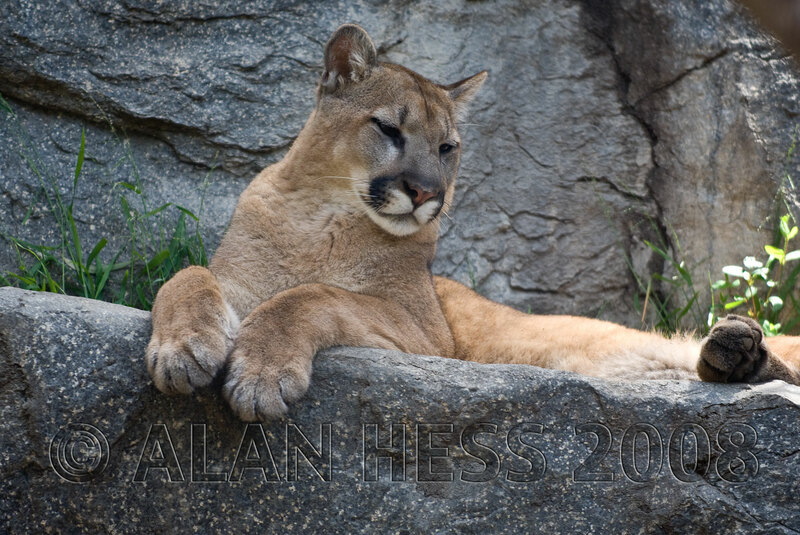 This Mountain lion was safely behind a sturdy fence, but shooting with a focal length of 200mm and a f-stop of f/2.8 made the barrier disappear. I did not clone the fence out using Photoshop. 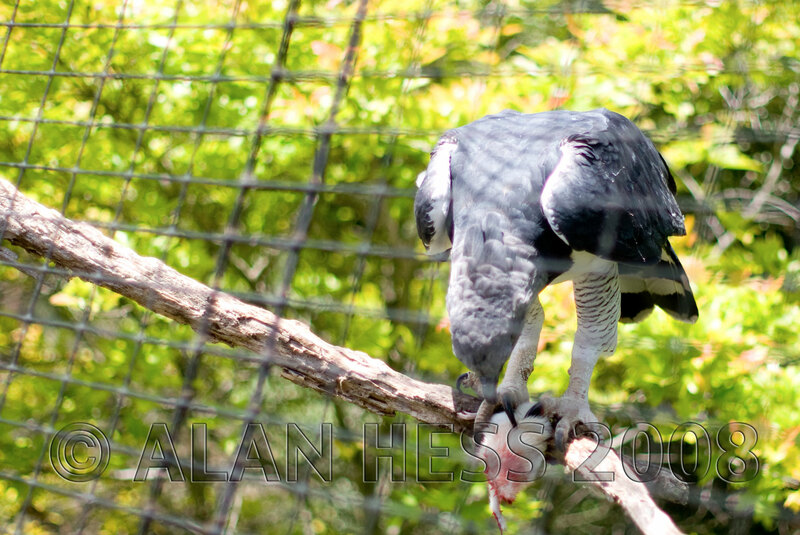 Shooting wide open will also blur the background on images, removing the “shot at a zoo” feeling. 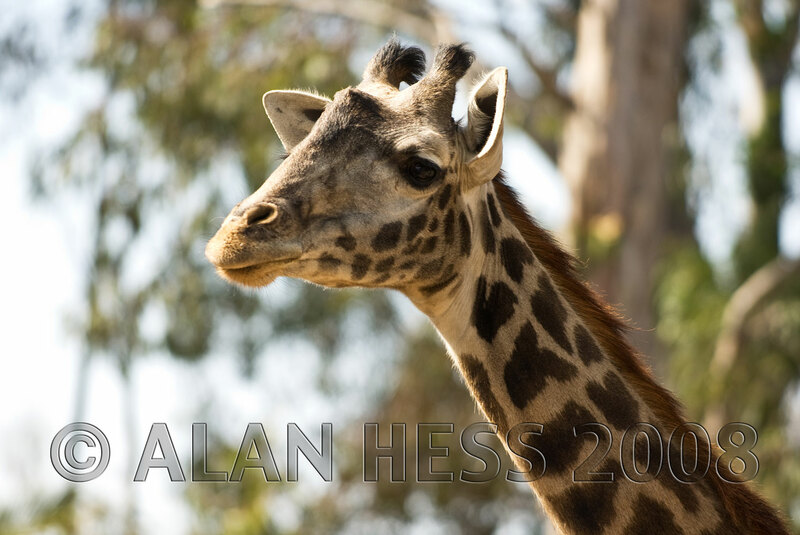 The blurring of the trees behind the giraffes head does two important thing, it make the subject of the photo stand out clearly, and it doesn’t scream zoo to anyone who views the image. On the downside, there are times when the depth of field can be too narrow. This raptor was shot as it devoured a small rodent, but since it was very close to the fence I had a hard time keeping both the fence out of focus and the whole bird in focus. 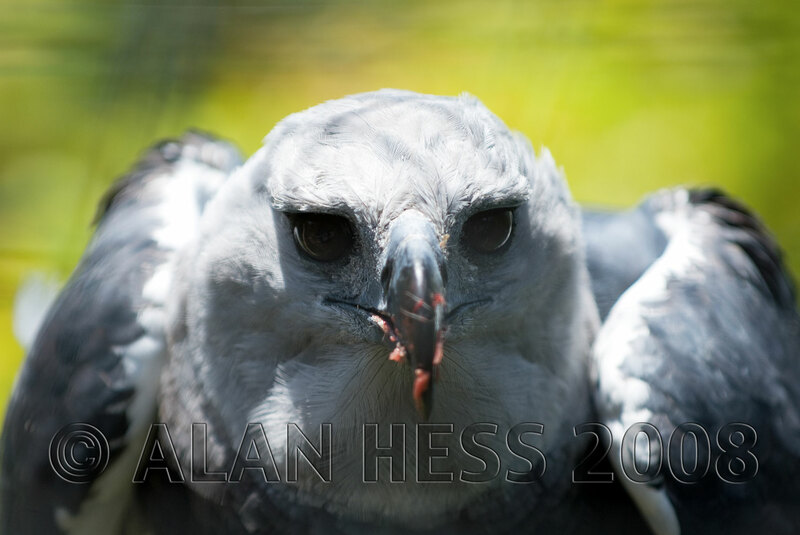 As you can see, while the eyes are in sharp focus the beak is not. This is a wider shot, showing how close the bird was to the fence. Thanks so much for these tips!! !